Saturday or Sunday: $145.00 per 24hrs or $220.00 for the weekend. full Weekend hire: Pick up Friday afternoon after 3 pm and return by Monday morning before 10 am. 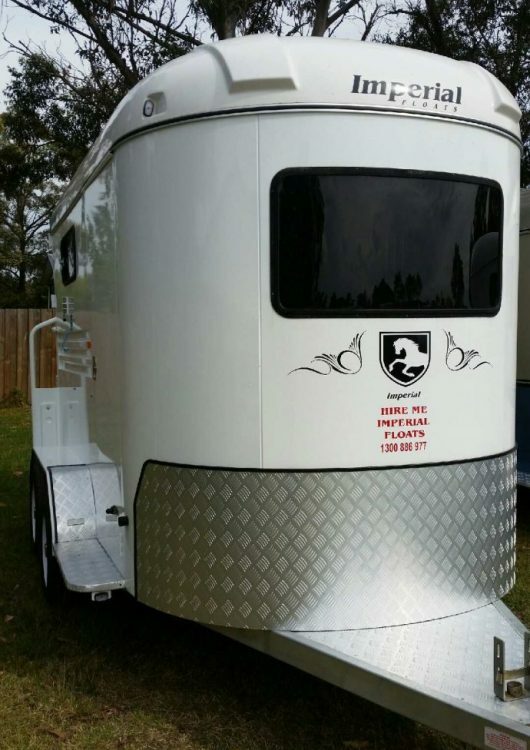 Float must be returned clean with no rubbish or horse waste and washed inside and out, otherwise, $150 cleaning fee will be charged. Any and all damage to float will be charged to the hirer at the full value of the cost of repairs. 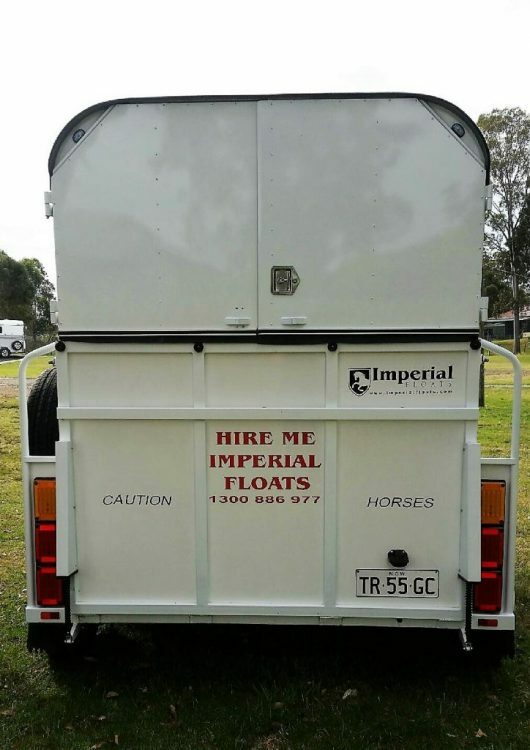 Please contact Imperial for more details and booking dates.